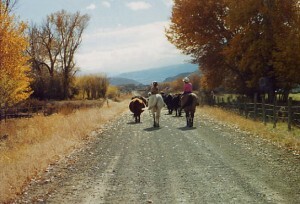 In the high mountain pastures of the Pahsimeroi Valley, Idaho lies the 1500-acre Alderspring Ranch. 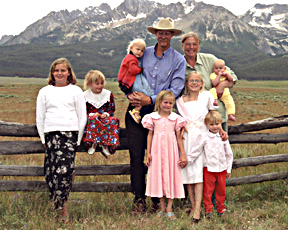 Owned and operated by Glenn Elzinga, his wife Caryl and their seven daughters, Alderspring Ranch’s beef cattle benefit from cool summer nights, a web of natural springs and creeks crisscrossing the ranch, native grasses grown on mineral-rich soils, and the tender, careful stewardship of the Elzinga family. Glenn left his day job as a forester, and Caryl left her job to begin her own ecological consulting firm as their family grew so they could be more available to the important task of nurturing their family. “We believe raising children on a ranch is a valuable gift to our daughters: one that includes clean air, water, and food; learning the meaning of hard work; developing relationships with animals and the land; and a chance to work side by side with their parents,” says Caryl. 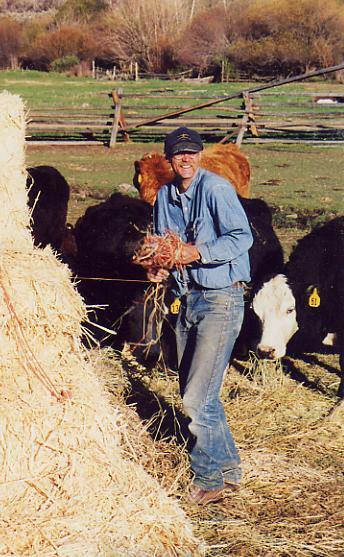 To them, grassfed beef is more than simply “trendy”… they believe it is the right thing to do, positively impacting people’s health, the environment and wildlife habitat, while strengthening farm communities and fostering respectful animal stewardship.